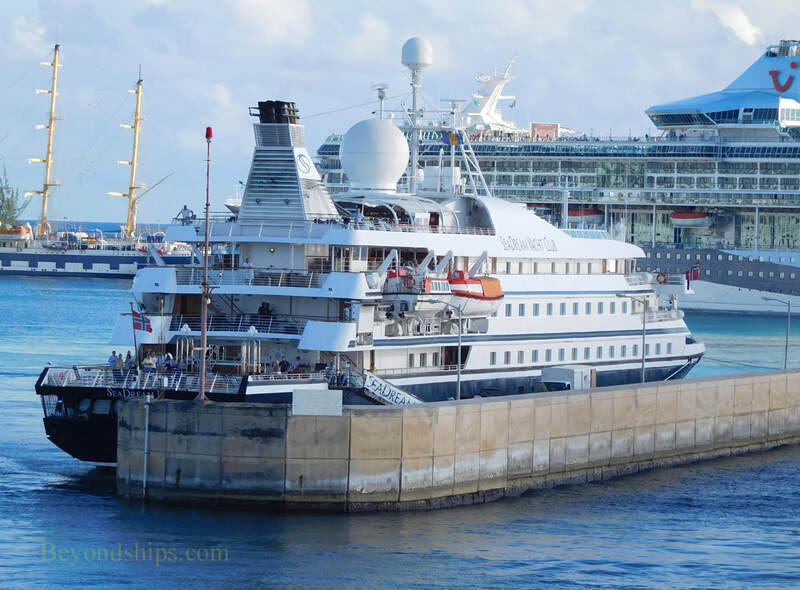 Seadream I is one of two essentially identical yacht-style cruise ships (Her sister ship is Seadream II). 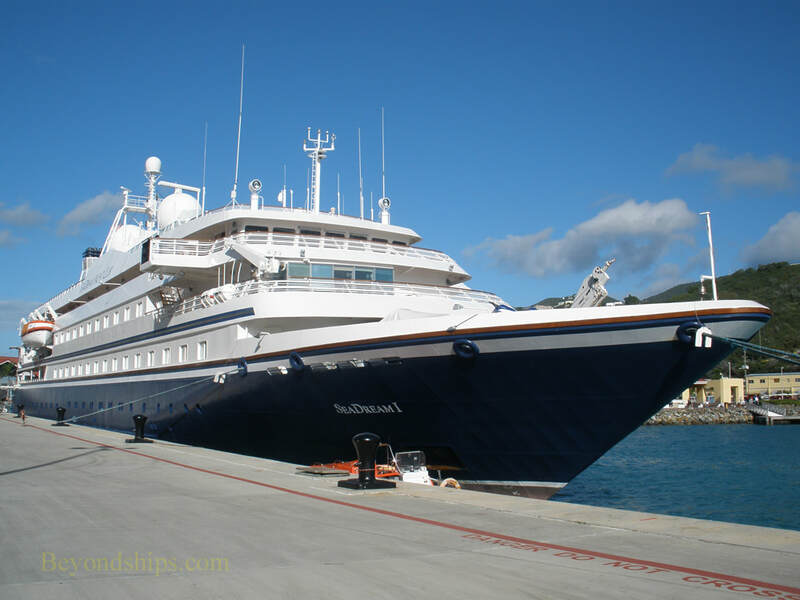 This intimate ship provides a relaxed but elegant cruise experience. Seadream I was originally built for Sea Goddess Cruises and entered service in 1984 as Sea Goddess I. Her sister entered service the next year as Sea Goddess II. In 1986, the two ships were chartered by Cunard Line, which continued to operate them as luxury ships. 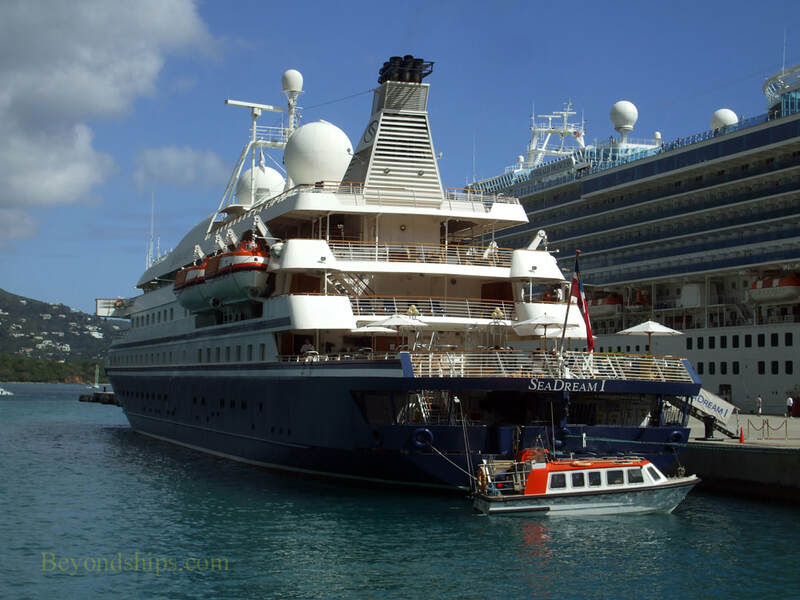 After Cunard was acquired by Carnival Corporation, the two Dea Goddess were transferred to Carnival's small ship luxury brand, Seabourn, and renamed Seabourn Goddess I and Saebourn Goddess II. 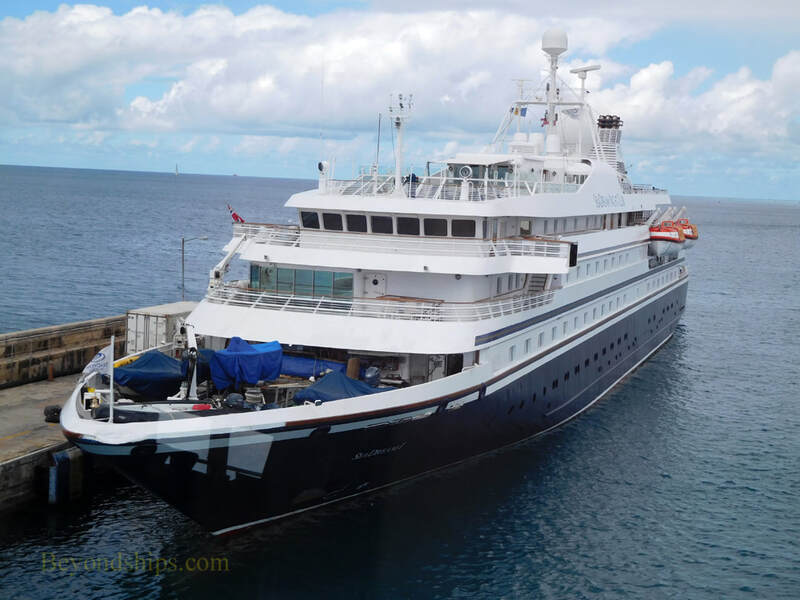 ​In 2001, the two ships were sold to Seadream Yacht Club. 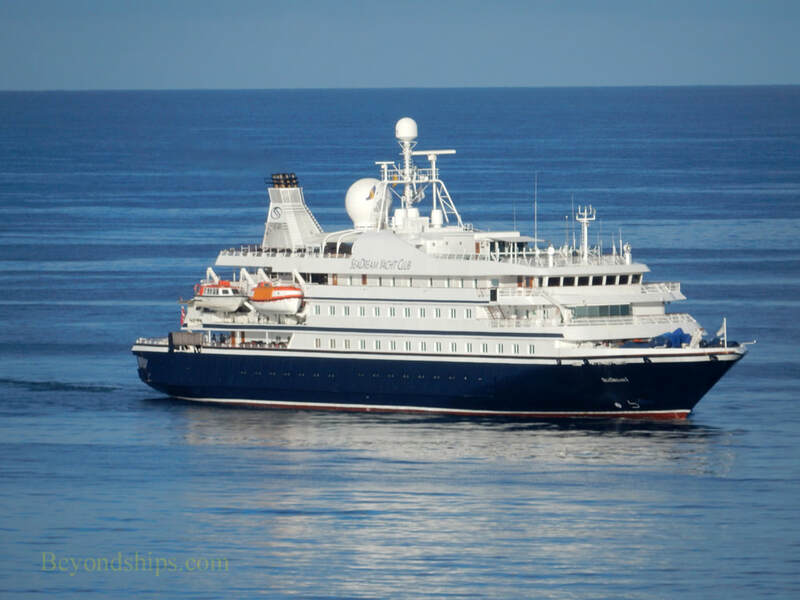 Both ships were the given extensive refurbishments. 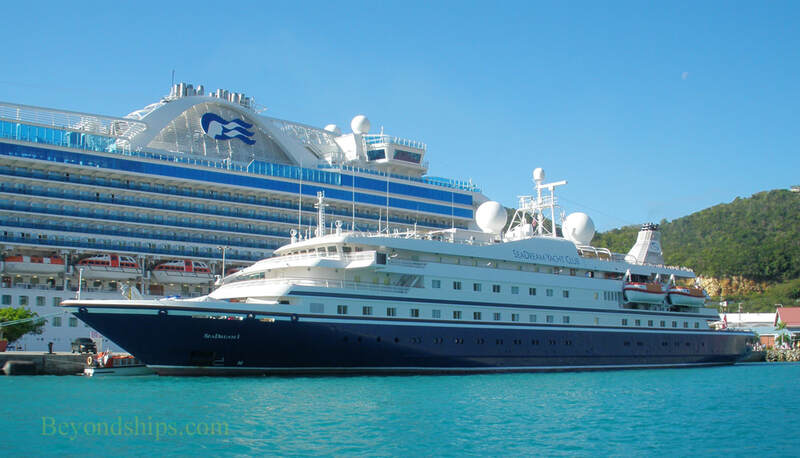 ​Seadream's slogan is that the experience it offers is yachting not cruising. 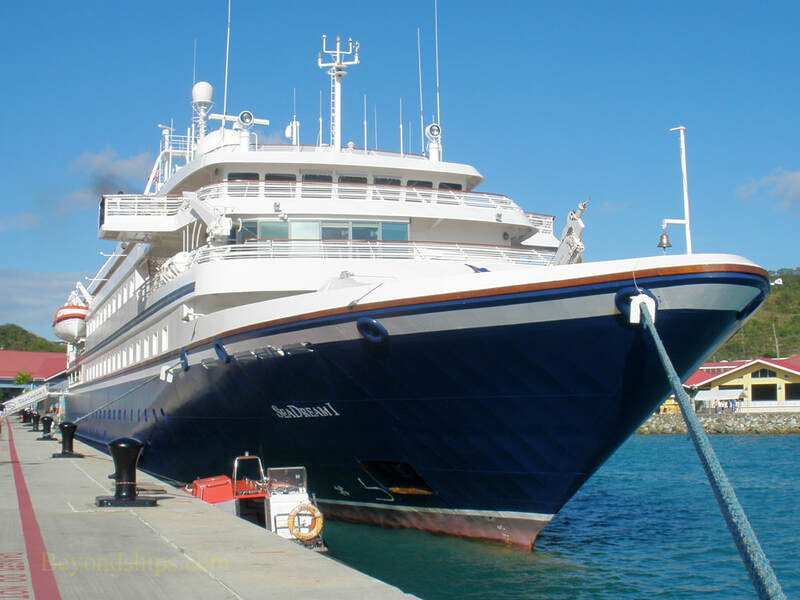 The goal is to give the guests highly personalized service so that they feel that it is their ship. To this end, Seadream I has a very good passengers to crew ratio. 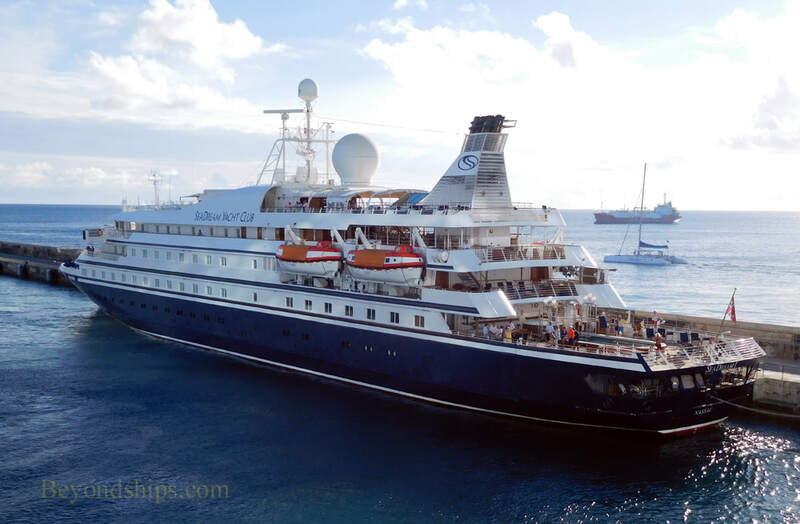 Although the ship is very small in size, Seadream I has quite a fewe features including a main dining room, a bar, a fitness center, a spa, a pool, a jacuzzi, a boutique, and a library. Its “wow” feature is a built in marina at the stern. 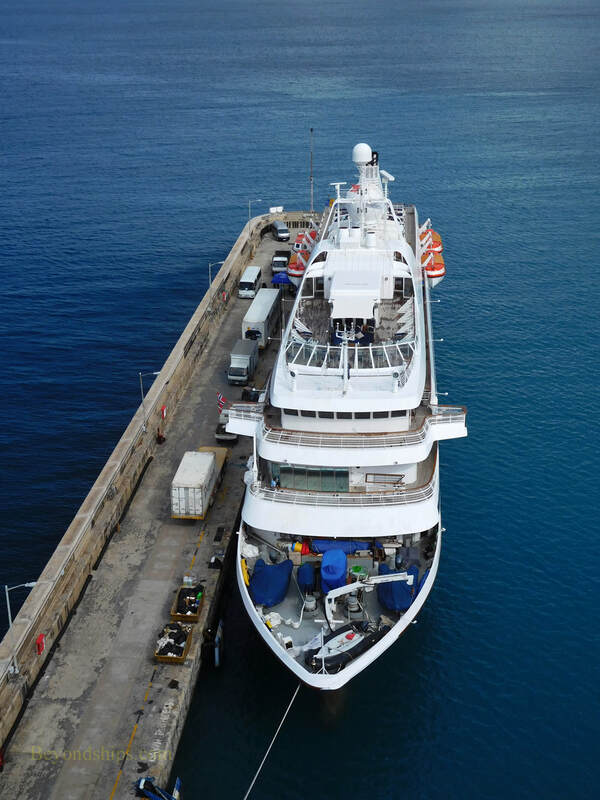 This serves as a swimming platform and as a dock for the ship's various water toys including jet skis, paddle boards and kayaks. LENGTH: 104.8 meters, 344 ft.
BEAM: 37.6 meters, 123.3 ft. DRAFT: 7.2 meters, 23.6 ft.